With offices in Fremont and Morgan Hill, the prestigious law firm of Steven Springer works relentlessly to protect the legal rights of people throughout the state of California. The firm’s specialty is family law, and it provides courteous and expert advice to people facing issues such as child custody or divorce. The firm also provides high-quality legal service in areas of estate planning, business law, criminal defense, and mediation. The firm’s founder, Steven Springer, believes in providing experienced advice to his clients in a professional manner to help them in reaching informed decisions. He starts each client-attorney relationship by first interviewing the client comprehensively to determine a unique and personal approach for dealing with the particular case of the client. Hence, the client can depend on a prompt, thorough, and cost-effective solution from the firm. Steven Springer was admitted to practice in the state of California in 1995. He has experience of more than fifteen years assisting people in starting businesses, planning their estates, and helping them face their personal family issues in a private and comfortable environment. He is associated with several professional associations such as the American Association for Justice (AAJ), Alameda County Bar Association, Silicon Valley Bar Association, and Santa Clara County Bar Association. The law firm of Steven Springer has an impeccable reputation and is supported by a diligent administrative staff that is well-trained in using the modern tools of communication to serve each and every client quickly. Clients can conveniently contact the two offices of Steven Springer by email or phone and arrange a convenient and confidential meeting. Moreover, clients facing time-sensitive issues can immediately contact the lawyers at the firm for resolving their issues in a timely manner. Q:What can you tell me about Steven Springer? A:Steven Springer is the founder of Steven Springer law offices. He is a renowned attorney in the field of family and business law. His efforts and expertise if evident form the high success rate he has acquired. Steven Springer is a member of the American Association of Justice, Santa Clara Bar Association, and Silicon Valley Bar Association. Q:What can you tell me about the practice area of estate planning at Steven Springer Attorney and law office? A:Steven Springer law firm offers superior legal services in matters relating to estate planning and management. This also includes will making and modification of property and assets. They ensure their clients get great insurance plans for estates. The firm emphasizes on providing legal solutions offer estate disputes and will disputes. Attorneys are present to handle all kinds of cases involving death or incapacity of estate owner, transferring estate to spouse/child/heir etc, and ensuring no loss is incurred to either parties.  Q:Springer Law offices specialize in which practice areas? A:Springer law offices provides quality legal services in a number of areas. They mainly focus on family law and divorce. Its skilled team of attorneys covers practice areas relevant to family law, these include the following: child custody, child support and compensation, mediation, property division, guardianship, estate planning, will making, and spousal support. They work towards helping families going through an emotional and financial crisis. Q:Springer Law Firm also offers legal advice and guidance in business law, can you give some information about this? A:Springer law firm helps many businesses and individuals regarding business legal issues and conflicts. They have built a reputation for providing great solutions for complex business matters. They offer guidance and expertise advice in matters such as starting up a new business, winding up a previous business, dissolution, marketing deals, business litigation, dealing with legal impediments, formation of partnership agreements, and managing business plans.